Belvoir Tack Conditioner Equimist Spray is Step 2 in the Belvoir leather care range and should be applied after Belvoir Leather Cleaner. This tack conditioner spray is specially formulated to condition, protect and improve the suppleness of your saddlery and leather. Belvoir Tack Conditioner is a pure, clear soap made from a combination of vegetable oils, including coconut oil and glycerine to provide a conditioning protective finish. 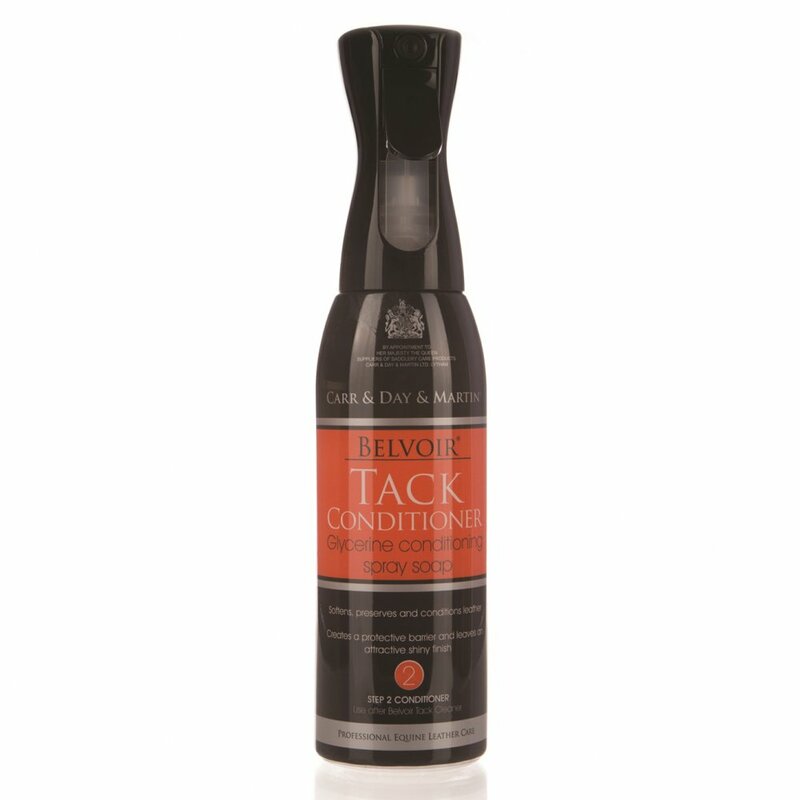 This Belvoir Tack Conditioner is packaged in an Equimist 360' bottle. This revolutionary spray bottle produces a fine mist for even coverage and can be sprayed at all angles ensuring it's perfect for hard to get to areas. Equimist has a continuous spray motion that's easier on the hand than traditional trigger spray bottles and has unbeatable bottle evacuation ensuring less wastage. This leather conditioner is suitable for regular use but should not be used on aniline or untreated leather, suede or nubuck. When used regularly Belvoir Tack Conditioner can help to prolong the life of your saddlery and leather whether old or new. To apply Belvoir Tack Conditioner ensure your leather is first clean and dry and then spray evenly over the leather. Rub into the leather with a cloth or sponge and when dry polish off with a soft dry cloth.